For more than 15 years, Eva Lea Klein worked as a seller at a Sears-like retail store in Brazil. During this time, she handled any responsibilities that her father needed help with and eventually took on all managerial roles at the store. After moving to the United States, Eva Lea Klein joined Banana Republic in Florida as a tailor. She held this role for nearly 10 years. 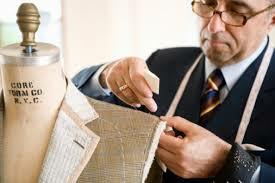 Tailors are capable of making a lot of changes to various types of garments, but they can’t work miracles. With pants, tailors can maximize length by dropping the hem down as far as possible and finishing the inside. They also are able to remove the front pockets so pants appear slimmer. However, they can only take pants in or out by about two inches. Anything more messes up the balance of the pants and results in an awkward-looking garment. Further, tailors cannot stitch closed holes that are not on the seam. However, they may be able to recommend a good reweaving service for this particular problem. In terms of tops, tailors often shorten straps so that a dress or top fits the torso better and has bust darts that are properly placed. Blazer and coat sleeves can be shortened to fit a person’s individual arm lengths, and sheer garments can be lined. Tailors can also rework a neckline so that there is more or less skin showing. Tailors can’t make extreme changes to tops. Alterations that change a top by more than four inches are typically not possible, nor are alterations that adjust the shoulders when there is too much fabric.